Our vision is to continue to be the training provider of choice for businesses of all sizes in South Cumbria and the Furness Peninsula, offering a professional and friendly approach to training and development solutions which will help you gain a competitive advantage. 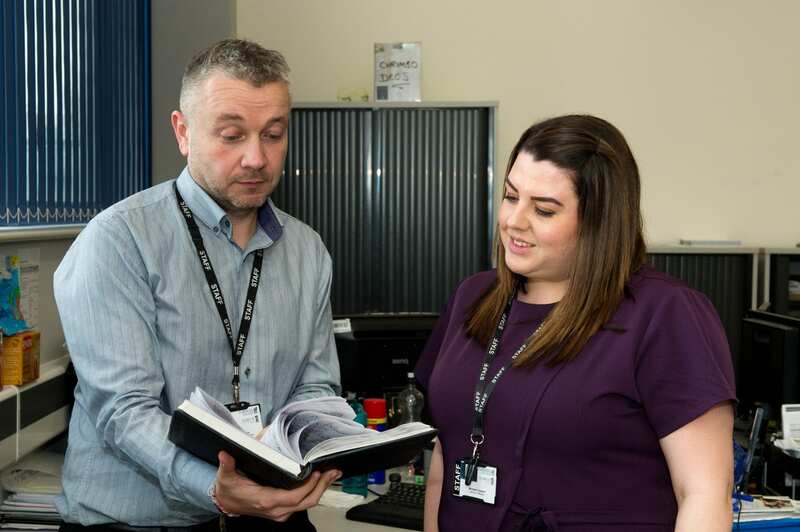 Here at Furness College, we have a dedicated Business and Employment Support Team who work with over 700 employers in a broad range of businesses who will be happy to come and visit you to talk about the support we can provide. We can discuss the training opportunities available to your business which includes apprenticeships, bespoke, part-time and fundable provision. The way apprenticeships are funded changed in May 2017 due to a government reform which included the introduction of the Apprenticeship Levy. We are available to talk you through these changes and how they affect both businesses and apprentices. We can offer help and advice on every step of the journey, from advertising and recruitment to completing their 20% off the job and ultimately the apprentice’s achievement. Our apprenticeship programmes provide young people and adults with the skills required for local business needs, helping them to become skilled workers for the future. We have embraced the new apprenticeship standards which we believe better prepare the apprentice for future employment, instil more confidence and provide greater skills to prepare them for progression within their career. We recognise that all organisations and businesses are different and require individual training solutions. We want to work with you to develop professional working relationships to respond to your training needs and upskilling your workforce.